Thanks for reading. If you are a busy professional looking to start integrating personal health and fitness into your life while wasting zero time, check out our website. zerotimefitness.com You can also Earn extra Money online by simply writing articles of your choice here on infobarrel . Its an easy way to earn extra cash. Click here to learn more. Having lived in Thailand for a few months training the wonderful art of Muay Thai, it was inevitable that I would pick up a thing or two about the Thai culture whether I liked it or not. During my stay in Sam Roi Yot and training 6 hours a day it seemed that there was always one constant thing on the menu. Rice and chicken. Although it came in various different methods of preparation, you can best believe that 4 meals a day based on rice and chicken alone is enough to drive any one person mad. After trying every Thai rice and chicken plate the country had to offer, it seemed that one had grown on me over the rest. I decided that since I loved this recipe so much that I must watch and see how this spectacular creation was made. Since our cook spoke absolutely ZERO English, it was up to me to observe as best I could the methods of preparation and cooking carried out by this skilled Thai chef. While the recipe I am about to give provides enough food for 6 training fighters plus leftovers, it is up to you to scale the dish as you deem necessary. This will be the perfect amount though for large families with growing children. First we need to go over the ingredients. The requirements go as follows. First start out by cutting the chicken into small chunks. Whether it be strips, cubes, rectangles, octagons, or whatever shape your heart desires. It doesn’t matter. Just make sure they are able to be handled by those eating. Cut the peppers into whatever type of form you would like. Long strips will work the best for this type of meal. Also pre-cut 1-1.5 onions either in large chunks or chopped. This is also up to your preference. 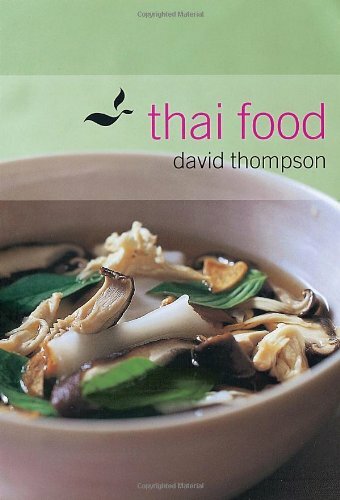 In Thailand, the cook prepared the veggies and chicken in various different ways which varied with each trial. The way that you choose to cut your chicken and veggies is completely dependent on what you prefer. It will not affect the outcome at all. In a separate bowl, mix together the curry paste, and one can of coconut milk. Then transfer this mix into a wok. Once you have your mixed curry paste and coconut milk placed into the wok, you will then transfer the remaining amount of coconut milk. In this wok you should now also add the chicken, 3 tablespoons of fish sauce, ¼ cup sugar (optional). Bring this mixture to a boil and let simmer for about 15 minutes or until the chicken juices run clear. You should also begin cooking your rice at this point as well considering some rice’s cooking time can exceed 25 minutes. After the 15 minutes has passed, it is now time to mix the remaining ingredients into the wok. Add the peppers and the onions into the recipe and continue to cook for about 10 more minutes or until you have tested and assured that the peppers have become tender. There are a few different options you have when it comes to adding the pineapple that will make a significant difference in the way that your meal tastes. Option 1: This is the easiest way to add the pineapple, but probably my most preferred method of preparation during hot weather times. This keeps the pineapple cold and refreshing when combined with the rest of the meal. Once you have added the onions and peppers and have allowed them to cook for 10 minutes, simply stir in the drained pineapple chunks with the rest of the recipe. Take this completed recipe and simply serve it over the cooked rice. Option 2: This option is better if you are consuming the meal in a colder climate. In a completely separate pan, place the pineapple chunks on high and continue to cook them until they are browned on the outside. This adds a certain flavor to the pineapple that gives it a bit of an extra texture to it. Option 3: This is also another option for consuming the meal in a colder climate as it involves the heating and cooking of the pineapple. Using a separate pan, you can either brown or cook the pineapple chunks among some of the extra curry past you have, or you can use a completely different flavored curry paste and simmer the pineapple in this. If you choose to use a second and more spicy flavor, this can add a surprise to the all too refreshing kick with each pineapple you get with your meal. This option tends to be for the people that absolutely love their spices. This method also seems fitting of the Thai dish considering almost everything you eat in Thailand seems absolutely on fire. As I said before thought, depending on the climate you are located in generally makes for the pineapple preparation choice people choose to take. I do recommend trying all three though in time considering they all can bring something completely different to the table in regards to level of refreshing flavor and kick. If you ever in your life have the chance to travel to such a beautiful country, make sure you do take the time to order this on the menu and compare the flavors of your cooking compared to the preparation done by a local. Even though the ingredients may be exactly the same, it always seems like there is something missing. For more information on travel and packing for travels in South East Asia, click here.